Australia temporary fence panel is made by welded wire mesh and galvanized pipe . 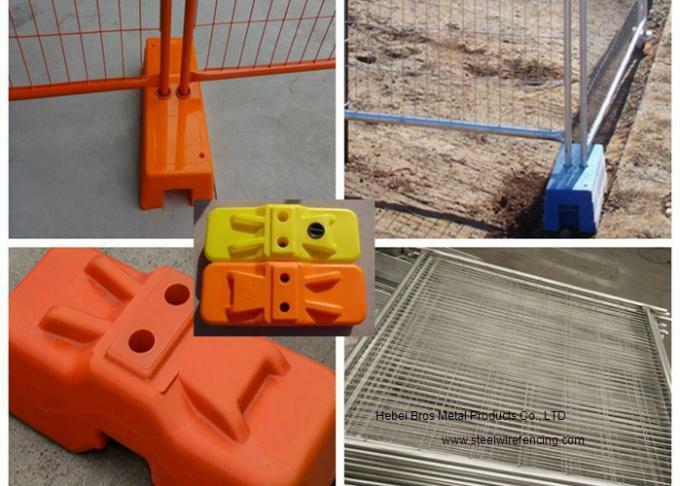 temporary fence system including temporary fence panels ,steel clamp,and steel plate feet or plasctis feet and Brace. .
Wre diameter: 3.50mm, 4.00mm and so on. 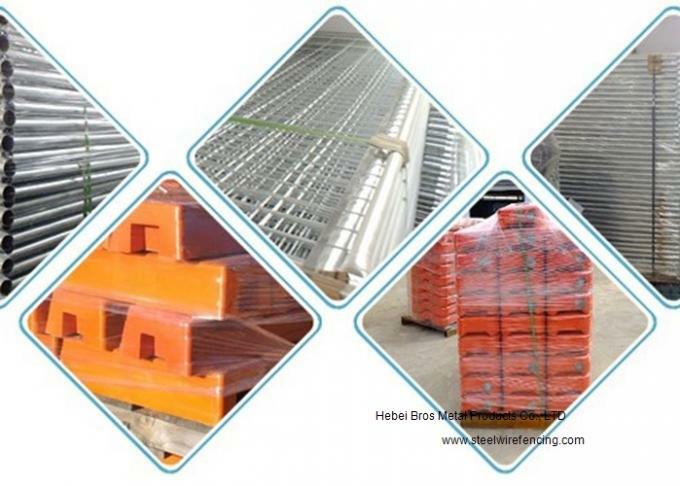 Mesh opening: 60X150mm, 75X75mm, 75X100mm, 70X100mm, 60 X 75mm and so on. LxW: 2.1X2.4m, 1.8X2.4m, 2.1mx2.9m, 1.8X2.9m, 2.25X2.4m, 2.1X3.3m and so on. Pole diameter: 25, 32, 40, 42, 48 and so on. Main markets: Australia, Canada, America, European countries, and Asia countries. * It should be have wood plate on the top of the fence panel, to avoid the above pallet will be destroyed the under pallet panel. 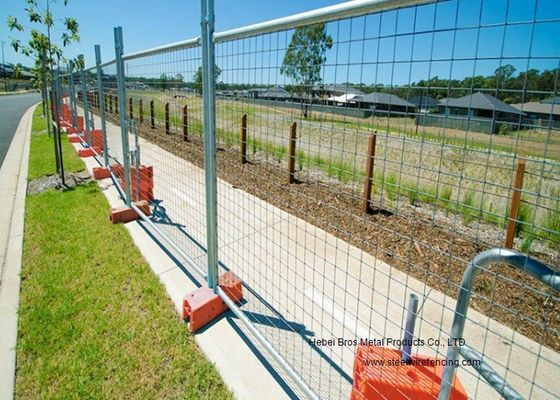 * Every fence feet is covered by cap then with plastic film, then metal pallet. --The feet are removable which makes transportation and storage much easier and more efficient. --Different specifications are available according to customers' special inquiry or detailed drawings. >The feet are removable which makes transportation and storage much easier and more efficient.